Spurred by the global financial crisis and concerns about climate change, sustainable investing has experienced tremendous growth over the past decade. Assets under management have grown to an estimated $22.9 trillion globally, up from $3.8 trillion in 2006. 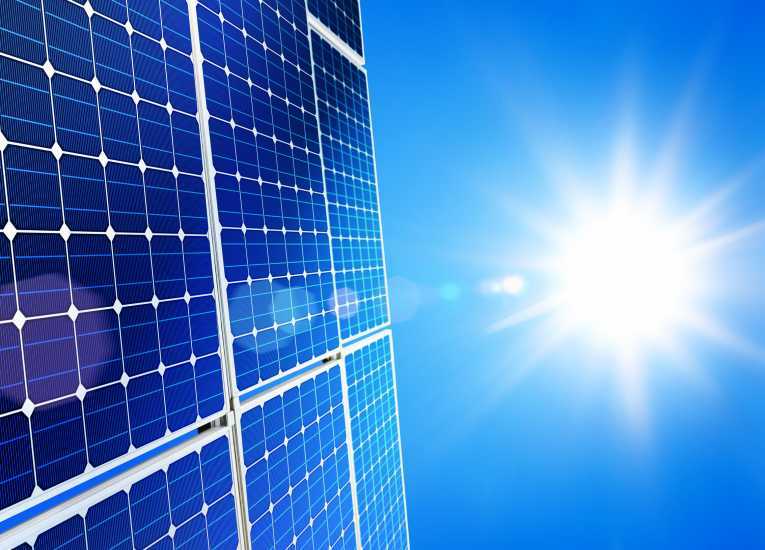 Defined as any investment approach that factors in environmental, social, and corporate governance, or ESG, issues and their impact, sustainable investing is also benefiting from other trends. Built on the already established foundation of socially responsible investing, the field today is aided by more-sophisticated ESG metrics, increased corporate focus on sustainability, supportive academic research, an organisational infrastructure, and competitive performance. The financial crisis was an example of excessive risk-taking and short-term thinking. The crisis lowered investor confidence in the financial system and alerted investors and corporations to the risks of systemic failure. In its aftermath, investors became interested in focusing on hidden risks, corporate responsibility, systemic threats, and taking a longer-term perspective. All of these are fundamental concerns of sustainable investing. In the wake of the financial crisis, another systemic threat began to attract investors’ attention: climate change. While evidence that human-caused global warming had been accumulating for decades, climate change burst onto the public agenda in 2006 when former Vice President Al Gore released the film An Inconvenient Truth. Since then, climate change has become a much bigger concern to investors who want to better understand the risks faced by companies, industries, and entire economies. Earlier this year, two of the world’s largest asset managers, BlackRock and State Street Global Advisors, announced that climate change was their top priority in their direct engagements with companies in which they own shares. Asset managers now have better data on how companies address the challenges, and academic research suggests that attention to these issues can reduce risk, help identify quality companies, and enhance performance. Institutions are emerging to provide education, research, and platforms for ESG discussion, and performance of ESG portfolios is competitive with that of conventional funds and improving. It is common today for asset managers to use company-level ESG metrics in their investment process, regardless of whether they are running sustainable investment funds or conventional funds. ESG data give asset managers the ability to evaluate companies on hundreds of indicators, to make comparisons relative to peer groups, sectors, and regions, and to assess a company’s progress on improving its ESG performance. That would not be possible without data collected by research firms such as Sustainalytics and MSCI ESG Research. Still something of a cottage industry in 2006, ESG research firms covered fewer companies and measured fewer ESG indicators. A decade later, not only is the data more robust, it has accumulated into a time series, making it more useful for academic research. A recent MSCI study suggests that “ESG momentum”, an improvement in a company’s ESG performance based on time series data, is a positive factor for performance. Academic research on the effects of ESG on portfolio and company performance has proliferated over the past decade and supports two conclusions that are positive for the field. The first is that empirical evidence does not support the thesis that sustainable investing portfolios, or their antecedents that focused on exclusionary screening, underperform conventional portfolios. This is an important finding for sustainable investing because it gives asset managers and investors confidence that an investment process that incorporates ESG factors can perform on par with conventional investments and, with the right manager at the helm, perhaps even outperform. Indeed, Statman and Glushkov suggested that the use of company ESG research in stock selection and portfolio construction was a positive performance factor. The second conclusion from academic research suggests that a positive relationship exists between corporate sustainability and financial performance. Studies have shown that companies with superior sustainability performance have better credit ratings. Another study demonstrated that companies that handle environmental issues better than their peers have significantly lower cost of equity. In 2006, 100 investment industry firms signed the United Nations-sponsored Principles for Responsible Investment, or PRI. The signatories represented $6.5 trillion in assets. The principles are based on the idea that ESG issues can affect investment performance and, therefore, should be considered alongside more traditional financial criteria for investors to fulfill their fiduciary duty. In 2016, the principles had more than 1,600 signatories managing $62 trillion in assets. In 2011, the Sustainability Accounting Standards Board, or SASB, was formed with the mission to establish industry-specific standards for corporate reporting on ESG issues. SASB’s work is important because it brings together company analysts with sector and industry experts to define ESG materiality and help companies understand how to report these metrics. It aims to standardise ESG disclosure filings similar to the way the Financial Accounting Standards Board helped standardise financial disclosure filings. SASB wants to become the sustainability standard. These organizations all are increasingly visible as sources of information and education about the field to investors, the public, and policymakers. 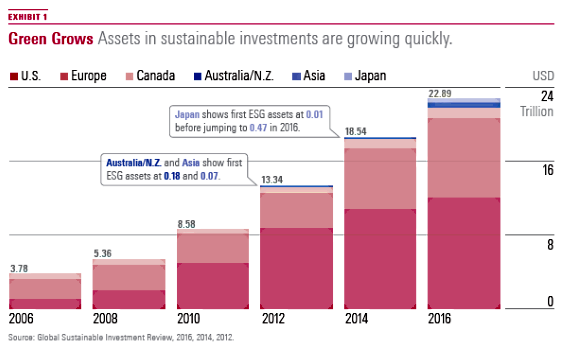 Although the vast majority of assets invested in ESG strategies is institutional, the past decade has seen a large increase in the number of ESG-focused funds globally. In 2006, there were about 1,200 ESG-focused open-end funds globally. At the end of 2017’s first quarter, the Morningstar database listed 2,180 such funds. The past decade has seen some improvement in the risk-adjusted performance of ESG-focused funds, too. 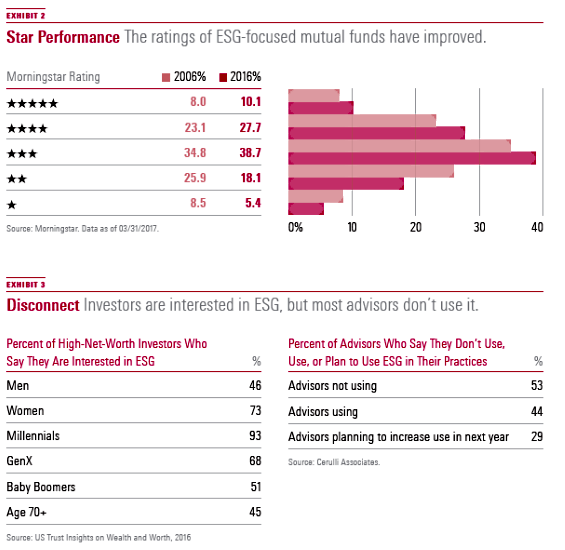 At the end of 2006, the number of ESG-focused funds with a Morningstar performance rating of one or two stars slightly outnumbered those with a Morningstar performance rating of four or five stars. At the end of 2016, those with four or five stars significantly outnumbered those with one or two. What’s likely to happen next? Most of the world’s most prominent asset managers are now incorporating ESG, at least to some degree. Many are PRI signatories and have taken formal steps to integrate ESG analysis into their investment processes. Some have also launched ESG-focused funds. Given the interest investors are showing in “impact investing,” look for asset managers, especially those long committed to the space, to develop more strategies that measure the environmental and social impact of their portfolios and to place more emphasis on proxy voting and discussions with companies about their ESG practices. All indications are that individual investors, including high-net-worth investors, are interested in sustainable investing, particularly women and millennials. This is the main reason asset managers are launching more ESG-focused funds. Yet it’s not easy for individual investors to incorporate sustainability into their investments. Most are being guided to buy low-cost index funds, exchange-traded funds, and target-date funds. Getting an advisor’s help is difficult because few of them incorporate ESG into their practices. These are some of the challenges ahead for sustainable investing. What's Driving Growth in Sustainable Investing?